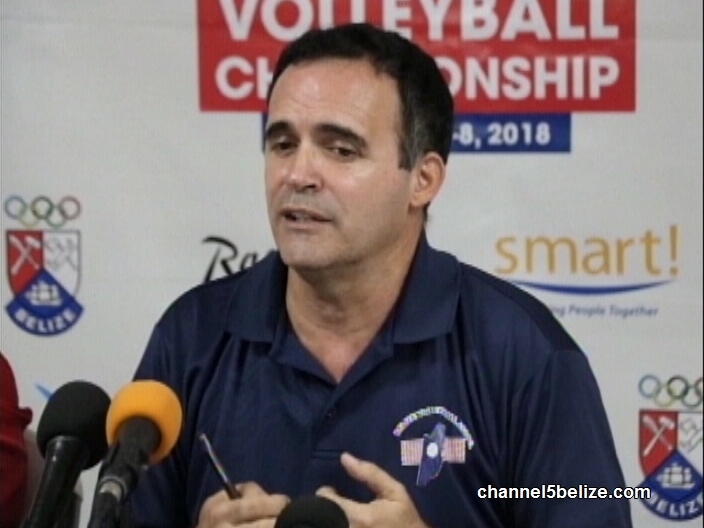 The Belize Volleyball Association is getting ready to host the 20th Edition of the Women’s Central American Volleyball Championship. It’s a 7-day international tournament where national teams from all over Central America, including Belize, Guatemala, El Salvador, Honduras, Nicaragua, Costa Rica, and Panama will all converge at the Belize Civic Center, starting on Saturday. The Volleyball Association is promising that local fans of the sport will get to see it played at the highest level in this region. 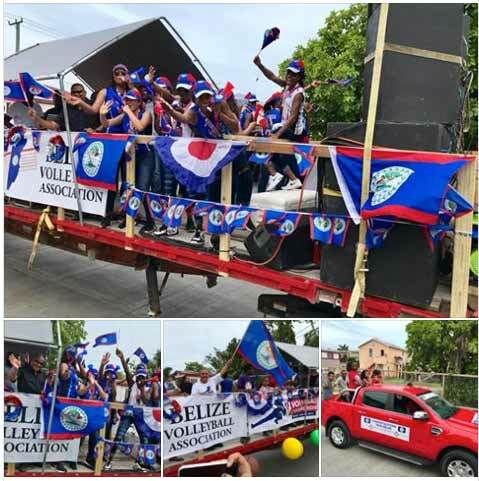 The Association says that the Belizean athletes have been training hard for months, and they are as prepared as they can be for this tournament. "As part of the regional sport responsibility we are required to host almost annually an international tournament. This year it is the Central American Women's championship that we're hosting. As you may recall last year we did the under 20 and the year before was the World Championship qualifier in men and next year it's the Central American Beach Championship that we're supposed to host. Our team has been training since the end of last August, 11 months ago, almost 11 full months of training. We went to the Managua games, we returned and increased the level of training, we increased the amount of coaches, we increased the amount of weights, we increased the amount of track, we increased everywhere. I can tell you that this tournament will not be high school like, this will not be primary school like, this is women's volleyball, the girls will be hitting hard - Nel, Sherika, Shantel, Marissa, when they hit the ball I think even the boys show a lot of respect. As part of the training, we used the males from past national team as well as some males from the junior and youth national team to play against the women at women's height net. So the women are being put under a lot of pressure and stress to try and raise their level and with every week we have seen a major improvement. We have 6 teams playing over the 5 days starting on Saturday August 4th. Belize will be playing 7:30 every night from the 4th, 5th, 6th, 7th, 8th. We play first match against El Salvador, then Panama, Nicaragua, Costa Rica and Guatemala. 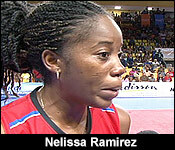 We have 3 matches per day, matches start at 3 PM every, 5 PM and then of course Belize closes out the night." The tournament runs from the 4th to the 10th of August. Team Belize will play all the late games, which start at 7:30 p.m. on Saturday, when they will go up against El Salvador. Then, on Sunday, they will go up against Panama, and on Monday, they will play Nicaragua. On Tuesday Night, Team Belize challenges Costa Rica, and on Wednesday, August 8, Belize plays its final game against Guatemala. 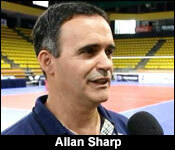 Today is day 3 of the 20th Central American Women's Volleyball Championships. It is the first time it is being held in Belize so our girls are fired up about that home court advantage. So far Belize has beat Panama 3-0 and lost to Salvador in its opening game. 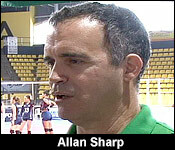 But there are still a couple more games left to be played and President of the Belize Volleyball Association, Allan Sharp says the Belize team is ready for the challenge. "We have already competed two days, this is the 3rd of the 5th day. Belize played opening night. We lost a squeaker 5th set 17, 15 against El Salvador, last night we won 3 sets to 0 against Panama. Today we play Nicaragua in the night cap, 7:30, tomorrow we play against Costa Rica at 7:30 and then Wednesday night is the final night we play Guatemala at 7:30." "I think the girls are very confident, after the opening game, I think that got rid of all jitters, all the feelings and I think now they are ready to execute our game, well every game this tournament is at test, it is a strong game. We have a strong match in front of us but I think the girls are really ready to take that on." "The present team has been practicing since last August so about 11 months, preparing for this tournament and basically since February they have been practicing about 6 days a week, since May twice a day so there has been a lot of preparation put in." There are 6 teams participating in the tournament - all except Honduras who could not make it. The winner from this tournament advances to the Continental Championships next year. In other regional sports news, Belize beat Barbados one to nil in an international friendly played out at San Pedro on Saturday afternoon. 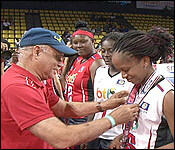 Belize Beats #1 Costa Rica, and Guatemala, gets Silver Medal! 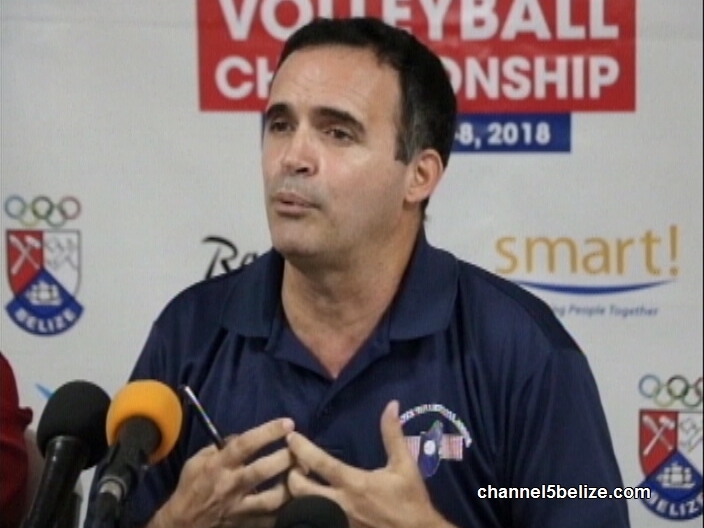 Tonight, Belize’s Women’s National Volleyball team could be on the verge of something major in the Twentieth Central American Volleyball Championship. The team shocked the world last night at the Civic in what has to be the upset of the century: They beat the #1 ranked women’s team in the region, Costa Rica. This catapulted them to second place in the tournament standings. "What was the feeling last night?" "Well extreme emotion, I actually had to go back and sit down - I felt weak but basically because of the high emotion. I mean no team in Central America had beaten Costa Rica since 1999 and they've only lost once since 1991 and that was to Honduras in 1997 and may I say by the same coach that's coaching us. In fact in this particular tournament since 1991 they have not lost, so the win was a very big win." "After that sensational victory how are you all keeping the team's feet on the ground?" "Well one is keeping them away from the press (laugh). Actually they have a system in place that has been from the beginning and we maintained that system. So we did not want - obviously there are a lot of requests for interviews but we said we can't break the system, we want to keep the same routine we had been keeping. We spoke out this scenario before it happened; we spoke about what happens if we beat Costa Rica and the high emotion you will feel and so it was prepared. Now we realize we know later today, so our job now is to try and win against Guatemala and in as big of fashion as possible. Once Costa Rica beat El Salvador and we win 3-0 against Guatemala the gold is ours." Tonight’s final game where Belize takes on Guatemala starts at 7:30 at the Civic Centre. Admission is free for the first one thousand students with an ID card, and the first one thousand children. As Sharp noted, Belize could end up anywhere from first to fourth place. But, right now, a pivotal match is playing between Costa Rica and Salvador - and it is tied one set each. If Costa Rica wins, then the gold medal spot is in play - and If Belize Beats Guatemala in straight sets, the gold could be ours. We wish them good luck! 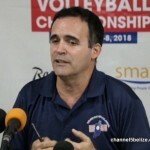 Costa Rica extended their 25 year reign of Central American women’s volleyball by winning the 20th Central American women’s volleyball championships at the new Civic Center in Belize City. Costa Rica won their 14th consecutive title by points, after they finished in a three-way tie with surprising teams of Belize and El Salvador: each with 4 wins, one loss at the conclusion of the tournament. When all game statistics had been calculated, Costa Rica won the gold, Belize claimed the silver, and El Salvador took home the bronze. Belize has pulled off the amazing feat of rising from seventh place at the last tournament to Central American sub-champion, even handing the reigning champion a 3-1 defeat! Tonight, Belizeans everywhere are riding high after our volleyball women made this nation's collective heart swell with pride. They beat Guatemala in a dramatic game, to finish out the Central American Women's Volleyball Championship with silver medals. With this spike, Guatemala went up by two points and only needed three more points to win the match. In front of its home fans, Belize was down 10 - 12 and then - another score - it was 11 - 13 for Guatemala - hope was all but lost. And then another Shantell Arnold's serve is right on the line, leading to a Guatemalan spike that goes out and it's 13 all - anybody's game. From there it's the Sherika Burton show as she takes the lead with this spike - which brings Belize up 14 to 13 and them, match point Shantell Arnold on the serve again for what unfolds as one of the most dramatic rallies we've ever seen. Ending finally in this explosion from the undeniable Sherika Burton - the rest is written in glory....as the civic erupts. "I feel so proud. We won." "I've been waiting for years to win a Central American championship. I've been playing 10 years and finally at home we won." "I'm really excited that we won tonight. We have made history. We have worked out so hard. We came out really strong mentally and physically." "Especially after that El Salvador game I say I can't let that come back and haunt us and so on the last serve I was on the line again. I was like okay Shantell you can't let it happen again, because I remember a Facebook comment "Shantell make my heart broke" and so I broke my own heart and so I can't make it happen again, so I just focused and we played our best and we did hit." "I think we did very well. Considering a very big emotional win last night against Costa Rica and to come now and to play a 5-setter. We did it. We beat Guatemala, the main team that we want to beat, so we pulled it off. The girls did an excellent job. We end up coming in second. We actually tied with Costa Rica in everything. So we had to go all the way down to points ratio in the criteria and unfortunately we have a lower points ratio by a slight margin. I think it's 1.17 for us and 1.27 for Costa Rica. So they ended up coming in first and we came in second. We are second, so first thing is to hope that they allow a second team into the continental championship. But obviously we have a very young team, more than half of it is under 23. The Under-23 championship should be held this year. We are still waiting to see where, so we should have a very strong team with that and obviously we want to keep as many of the girls together for the long haul, because it's all about continuing to play as a team." 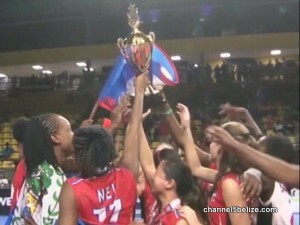 Belize's women won a number of individual honors. Star striker Sherika Burton won best scorer and best spiker, Shantell Arnold won best opposite, and Karen Quan won best setter. As Sharp noted, Belize lost out on the gold medal by just a fraction of a point - but, still, it is by far, the best performance ever for a Belizean volleyball team in the regional championships, whether male or female. You can celebrate them next Monday with a motorcade through the streets of Belize City starting at 2:30 p.m. It starts at Marion Jones Stadium onto Princess Margaret Drive, Freetown Road, Douglas Jones Street, Youth for the Future Drive, Vernon Street, Magazine Street, Cemetery Road, Orange Street, Albert Street, Yarborough Road, Central American Boulevard, and ends in front of the Civic Center - which is where an acknowledgment ceremony will be held. 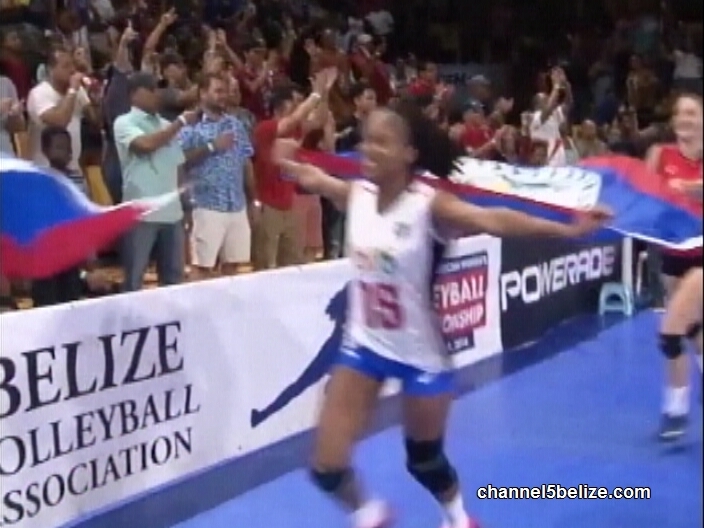 The national volleyball team scored a huge upset this week that brought both pride and glory to the nation. The force behind the team is the incredible Lupita Quan, who has invested her life in the sport. 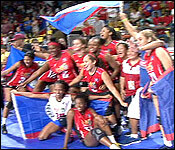 First the girls neatly beat Costa Rica, a team that up until Tuesday had been undefeated for fifteen solid years. That victory was crowned by another which was overflowing with national fervour. 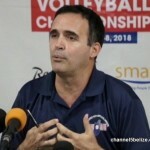 On Wednesday night, the national team beat the Guatemalan selection in a nail-biting game that was decided in the last minute of play in the fifth set. 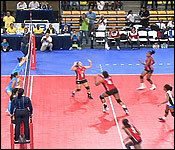 All this went down at the Civic Centre where the twentieth Central American Volleyball Championship took place this week. News Five’s Isani Cayetano reports. By now you’ve seen or heard of the national female volleyball team. 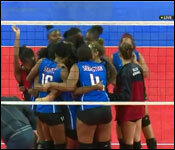 They made history last week in the Central American Volleyball Championships when they defeated Costa Rica – a team that had not lost a game in more than fifteen years. And then they went on to get the silver medal in the competition – losing out on the gold by a fraction of a point. 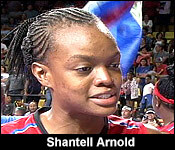 And at that awards ceremony three of Belize’s players went on to receive individual recognition, including Shericka Burton who took home two awards – but missed out on the MVP title. 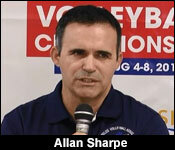 Sharp said that a committee selected the MVP from the winning team, despite Burton having the highest scores. Today, the President of the Volleyball Association called a press brief to discuss some matters with the media, including costs and results of the game. 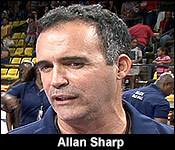 But before we get into just how much it costs the association to prepare the team and host the game – here’s President Sharp’s explanation on why Belize picked up the silver medal at the games, despite an impressive showing. And now to the costs. President Allan Sharp told the press today that getting to the championship and producing the result has been years of hard work that has required significant investment and sacrifices on the team’s behalf. But getting the dream team ready for this regional competition has cost over two hundred thousand dollars – yes, you heard right, two hundred grand. Today, he gave a breakdown of the costs and what it has taken in one year for the team to get ready for the competition. Important to note, Sharp pointed out that they have received assistance from sponsors and other donors – and the team is still in need of financial help to cover costs. And then there is the cost of hosting the event which is another two hundred thousand dollars – as Belize hosted all the teams, except Honduras that didn’t participate. And the regional parent organization didn’t contribute to the tournament, so the association has to bear the full cost of putting on the event. Here’s more from Sharp.